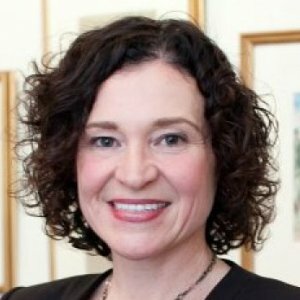 Dr. Kathleen Martin Ginis is a Professor, and Distinguished University Scholar, in the School of Health and Exercise Sciences, University of British Columbia, Canada. Her area of expertise is exercise behavioural science/exercise psychology. 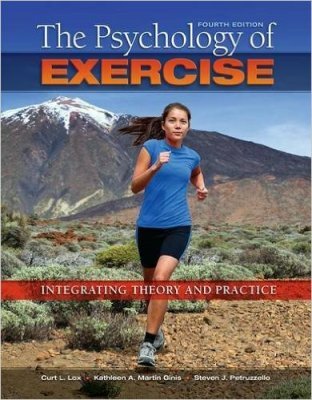 Her research program focuses on understanding (a) why and how people start and maintain exercise programs and (b) the psychological benefits of exercise (e.g., improved body image, decreased risk of depression, better mood) . She has a particular interest in knowledge translation and advancing physical activity participation among people with spinal cord injury and other physical disabilities. 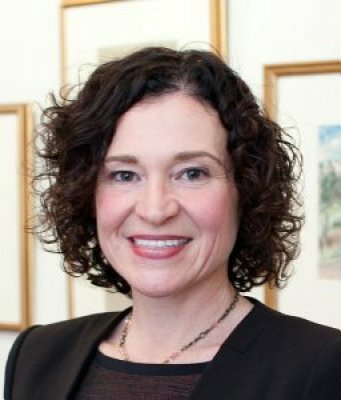 Dr. Kathleen Martin Ginis joined UBC in July 2016. From 1999-2016, she was a faculty member in the Department of Kinesiology, McMaster University, where she also served as Inaugural Director of the McMaster University Physical Activity Centre of Excellence. Dr. Martin Ginis is the Founding Director of SCI Action Canada (www.sciactioncanada.ca), a national alliance of community-based organizations and university-based researchers working together to advance physical activity participation in people living with spinal cord injury. 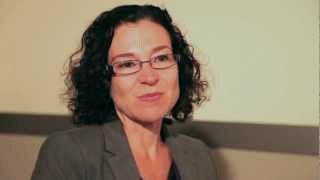 She is also the Principal Investigator of the Canadian Disability Participation Project (www.cdpp.ca). The CDPP is a SSHRC-funded Partnership Grant that brings together nearly 50 university, public, private and government sector partners to enhance community participation among Canadians with physical disabilities. Dr. Martin Ginis has received over $11 million in research funding, including nearly $4M from SSHRC to fund three community-university research partnerships. She has published over 250 peer-reviewed research articles and book chapters. 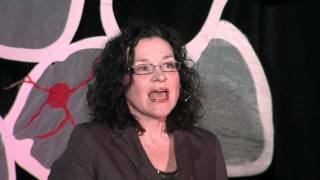 Her research frequently appears in the media and has been featured on CBC’s Quirks & Quarks, and in The Globe & Mail, The National Post, The New York Times, “O” The Oprah Magazine, Men’s Health & Fitness, and Shape Magazine, among others. In 2014, the Government of Ontario recognized Dr. Martin Ginis’s long-standing contributions to science designed to improve the lives of people with spinal cord injury, by awarding her the Ontario Medal of Good Citizenship. Dr. Martin Ginis resides in Kelowna, British Columbia. She is an avid runner and traveler. The Distinguished University Scholar (DUS) program recognizes exceptional members of faculty who have distinguished themselves as scholars in research and/or teaching and learning, or who have the potential to demonstrate such leadership. Awarded by the Lieutenant-Governor of the Province of Ontario, for exceptional long-term efforts and contributions to the well-being of the community. This award recognizes Dr. Martin Ginis's research and personal contributions to the spinal cord injury community. For contributions to advancing the cause of people living with spinal cord injury. Elected membership honours persons who have directly or indirectly contributed significantly to the study of and/or application of the art and science of human movement and physical activity. For recognition of outstanding graduate student supervision. Awarded by the American Psychological Association, Division 22, in recognition of best research paper published in Rehabilitation Psychology in the year 2007. Op-Ed piece;t o make good policy decisions, to uphold our obligations on the UN Convention on the Rights of Persons with Disabilities, the 2017 Canadian Survey on Disability must measure physical-activity participation. Getting fit for the new year: is body image all in the mind? Interview with Bob MacDonald regarding results of our study of the effects of strength-training on men's and women's body image. Listening to music during a short, intense bout of exercise might change how you feel about hard workouts and encourage you to continue with the program in the future, according to a new study of intense interval training and how to make it more palatable. Provided commentary on recent study showing benefits to daily weighing. Scientific consultant for this series of stories profiling Canadians trying to get fit. Provided commentary on factors that promote adherence to exercise resolutions. Provided commentary on new toolkit developed to promote exercise to reduce risk of Alzheimer's disease. The CDPP is an alliance of university, public, private and government sector partners working together to enhance community participation among Canadians with physical disabilities. Project involves developing and testing an evidence-based toolkit of resources to assist physiotherapists in promoting physical activity behaviour change for clients with a spinal cord injury. As the scientific lead for this 28 organization partnership, I led the development of surveys and consultation tools to gather information on Canadians' perspectives on new federal accessibility legislation and the analysis of data collected during those processes. The mission of the Canadian Access & Inclusion Project is to improve access and inclusion for people with disabilities in all aspects of Canadian society. We aim to do this by providing a diverse representation of relevant disability stakeholders to co-create key elements that will inform the development of relevant and behaviour-changing, federal accessibility legislation. Dozens of published papers cite factors related to leisure-time physical activity (LTPA) participation among people with physical disabilities. Unfortunately, there has been little effort to synthesise this literature in a manner that is accessible and useful to the sectors (e.g., health care, recreation) responsible for LTPA promotion in disability populations. In this systematic review, over 200 factors were extracted from 22 review articles addressing barriers and facilitators to LTPA in children and adults with physical disabilities. Factors were grouped according to common themes, classified into five levels of a social ecological model, and coded according to whether they could be affected by the health-care and/or recreation sectors. Findings are discussed with regard to key factors to target in LTPA-enhancing interventions, relevant theories and models in which to frame interventions, the levels at which the interventions can be implemented, and intervention priorities. The synthesis provides a blueprint and a catalyst for researchers and practitioners to shift focus from conducting studies that merely describe LTPA barriers and facilitators, to developing and delivering strategies to increase LTPA among persons with physical disabilities. The impending public health impact of Alzheimer’s disease is tremendous. Physical activity is a promising intervention for preventing and managing Alzheimer’s disease. However, there is a lack of evidence-based public health messaging to support this position. This paper describes the application of the Appraisal of Guidelines Research and Evaluation II (AGREE-II) principles to formulate an evidence-based message to promote physical activity for the purposes of preventing and managing Alzheimer’s disease. The evidence base consisted of seven systematic reviews focused on Alzheimer’s disease prevention and 20 reviews focused on symptom management. Virtually all of the reviews of symptom management conflated patients with Alzheimer’s disease and patients with other dementias, and this limitation was reflected in the second part of the messaging statement. After deliberating the evidence base, an expert panel achieved consensus on the following statement: “Regular participation in physical activity is associated with a reduced risk of developing Alzheimer’s disease. Among older adults with Alzheimer’s disease and other dementias, regular physical activity can improve performance of activities of daily living and mobility, and may improve general cognition and balance.” The statement was rated favourably by a sample of older adults and physicians who treat Alzheimer’s disease patients in terms of its appropriateness, utility, and clarity. Public health and other organizations that promote physical activity, health and well-being to older adults are encouraged to use the evidence-based statement in their programs and resources. Researchers, clinicians, people with Alzheimer’s disease and caregivers are encouraged to adopt the messaging statement and the recommendations in the companion informational resource. I have published over 250 papers on topics related to physical activity participation in both the general population and people living with chronic conditions.